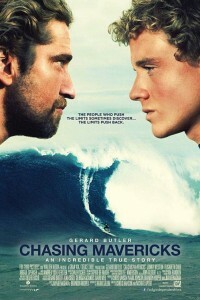 A surfing movie starring Gerard Butler that is destined to bomb at the box office. Gerard Butler had promise at becoming, at best, a B-list movie star after his movie “300” made hundreds of millions of dollars at the movie box office worldwide. However, his star has crashed and he is now relegated to box office bombs. Perhaps the fact that he has ZERO charisma helps. Adonis Johnson Creed (Michael B. Jordan) never knew his famous father, world heavyweight champion Apollo Creed, who died before he was born. In the throwaway movie We Are Your Friends, from Warner Bros. , an aspiring DJ looks to make it in the L.